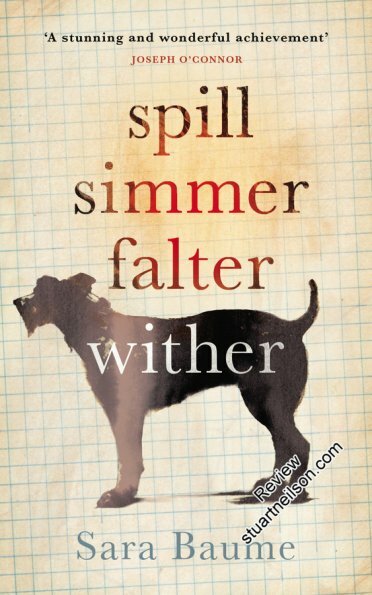 Baume, Sara - "Spill Simmer Falter Wither"
This is one of the most beautiful, evocative books I have read, with a playful and poetic use of language. It tells the story of strange 57-year-old Ray, who is completely in touch with the natural world around him, yet feels that the community co-inhabiting it hound him because of his strangeness. As a child "I wasn’t a right-minded little boy. I wasn’t all there. I was special." Ray makes a home for a rescue dog, One Eye, who is equally excluded - although One Eye's exclusionary strangeness is visible while Ray's is not - and the pair embark on a road-trip in which Ray reminisces about his childhood and his life. He is never identified by any label (other than 'strange' or 'idiot') and, back in the 1960s of his childhood, was probably never assessed. A diagnostic label would be irrelevant to the powerful story of how community 'others' and excludes people who exhibit differences from expected norms of behaviour or appearance. The intimate portrayal of the inner life of an adult man with limited social and verbal interaction with other people is skillful and penetrating - in rejecting any diagnostic labelling, Sara Baume has also foregone any behavioural stereotypes or tropes. It is a plausible account that many weird adults, including autistic adults, will find a connection with.